Hi I'm Rohit! I studied physics and chemistry at harvard, and now am occupied as a freelance writer and tutor. I love learning and passing on knowledge. I have been tutoring for over a decade, at all levels ranging from pre K to post 12. I teach all levels of math, physics, SAT/ACT, and chess, as well as college admissions mentoring and creative writing. As a sophomore I was a teaching assistant for Harvard's laboratory electronics class. It was a very hands on class, and led me to a visual and intuitive style of teaching. My students rated me 4.6/5. The following summer, I traveled to Taktse International School in India to teach physics and mathematics. But the really fun part was using the Lego Mindstorm kits to form a robotics club, and teaching a few students to program in C.
I also formed my own college admissions and career mentoring service in high school. I believe learning is a highly personal and even spiritual endeavor, and approaching it with the right attitude is essential to really learning. As a professor of mine often said, "You've got to feel it in your bones!" As a physics and chemistry major at Harvard, I've come to rely on strong visual and intuitive models. Once you can see the essence of the idea in your head, problem solving is a piece of cake. No matter what, we will always go step-by-step. I love learning and meeting fellow learners. Shoot me a message and let's embark on an adventure! My 15yr old son ENJOYS working with Rohit on his Algebra I skills. Rohit is incredibly personable and loves sharing his enthusiasm for learning. He is a perfect academic mentor for my son and we feel very fortunate to have found him. He was very helpful and answered all questions. He worked through problems slowly and he made sure everything was understood. Rohit did a fantastic job setting my son at ease with his questions about AP Physics. My son commented that Rohit was both personable & knowledgeable; he even gave my son recommendations for additional reference material that would enhance his ability to grasp the concepts. Going forward, my son feels more confident he can tackle both physics and calculus. 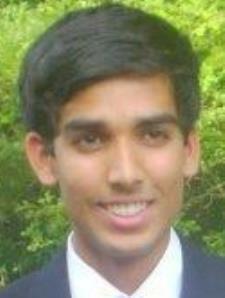 I would recommend Rohit to anyone looking for help in either Physics or Calculus. After the first tutoring session, my daughter came home to do her math homework. The homework was based on the math Rohit went over with her. She was so happy because she was amazed that she understood her H. W. and was able to complete it without a problem. She had a second tutoring session and then a quiz the next day. She got a 104 on her quiz! (She got extra credit for a bonus question). My daughter has always been good at math but this year she was lost. Rohit explained it to her in a way that she got it. She is also happy with the short cuts he is teaching her.